We're a team of 30 enthusiastic and focused analysts, developers, designers, account managers, and writers who have a passion for helping businesses achieve their dreams. 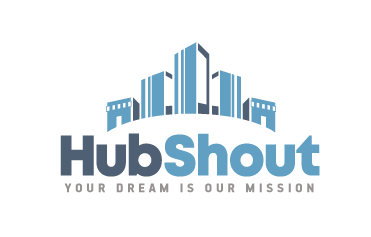 HubShout was co-founded in 2008 by entrepreneurs Adam Stetzer, Ph.D. and Chad Hill. Chad and Adam developed innovative digtial marketing process to effectively and efficiently manage campaigns for their direct clients, joking that they had built a 747 to fly from Orlando to Tampa. Turns out, the powerful process, analysis, link building, connections to newspapers and workflow software was the perfect solution for agencies that want to provide real SEO and PPC to clients. Now, HubShout has hundreds of agency partners that white-label HubShout's digital marketing services. We've been in this space for 10 years. We've read a ton of books together. Bonded. Developed our values. Argued, debated and disagreed. Learned from mistakes and formed the bonds that develop from hard work, cooperation and a sincere desire to do our best. Our greatest asset is our people, who we care for dearly. Based on this renewed focus on growing amazing professionals, we have received excellent press coverage and interest in our intense focus on culture and professional growth. After 10 years of growing our culture, producing leaders and growing amazing human-beings, we have realized that our real strength is our values and our people. Matt joined the HubShout team from the financial services industry in 2010. He brings strong Account Management to his reseller partners & national-brand direct clients. Jeff got his BS in History and MBA from St. Bonaventure University. Previously, he was a Fleet Manager. When not working, he is locked in his man cave watching sports. Go Bonnies! Danielle earned her B.A. in English from Wheaton College in Mass. in 2011. She previously worked in Tel Aviv, Israel as a writing assistant for a women's rights organization. Timothy Beck Werth was born on the Fourth of July. He studied journalism, film, and radio at the University of Southern California. Previously, he worked as a reporter and copywriter in Los Angeles. Devin graduated from SUNY Geneseo in 2015 with a B.A. in English & Creative Writing. She previously served as poetry editor for the SUNY-wide literary magazine Gandy Dancer. Chris has extensive experience in relationship management, sales, technology, and education. Before joining the team at HubShout, he traveled the country as an educational sales executive. Chad has been building web businesses since 1997. He has worked at America Online, FOLIOfn, AMS and Intuit. Chad has a BA from University of Florida and an MBA from Georgetown. Allison earned a double B.S. in Psychology and Communications at SUNY Brockport in 2017. Allison is accompanied at HubShout by her fun-loving puppy Noelle. Amanda (and her faithful pup Steel) come to HubShout from the University of Massachusetts by way of broadcast news. When out of the office, she can often be found training Brazilian Jiu Jitsu. Andrea earned a B.A. in Communications from John Carroll University in 2014. Andrew earned a B.A. in Writing from Ithaca College in 2013, and has worked as a Fiction Editor for Stillwater Magazine. He has been published on WhatCulture.com, amongst other places. Bill earned a Master's in materials science. An admitted Linux geek, Bill came to HubShout looking to branch out into programming & IT. Bill is an essential member of HubShout's critical Web Dev team. Brad studied at the University of Pittsburgh and prior to joining the Hubshout team he taught Film and English Composition. In his down time he runs a small record label and hosts a weekly radio show. Breylin attended Rutgers University. Prior to HubShout, he spent time in the banking industry. He is a UConn Women's Basketball superfan & a marketing funnel geek. Erin earned a B.A. in English Literature from Nazareth College in 2016. Joe is an annoyingly happy and punny person, who breaks into song far too often. He's frequently obsessed with photography, entrepreneurship, musical theater, and digital marketing. Marley earned her B.A. in English and creative writing with a minor in environmental studies from SUNY Geneseo in 2018. Nowadays, you can find her hunting for the best cup of coffee in Rochester. Melissa graduated from Wells College in 2016, earning her B.A. in English Literature and Theatre & Dance. When not at work she enjoys curling up with her cat Poppy and a good book. Molly earned her B.S. in Advertising and Public Relations from RIT in 2017. Off the clock, she enjoys reading, watching horror movies, and napping with her two cats. Sammi holds a B.A. in Theatre and Speech from Wagner College. When she isn't writing for clients or performing on stage, Sammi runs her own vintage-inspired style blog. Tim Ludwig has an excellent collection of shorts, punderful witticisms, and can occasionally be found in convincing drag. There's a Master's degree tumbling around, too, because he's a professional.